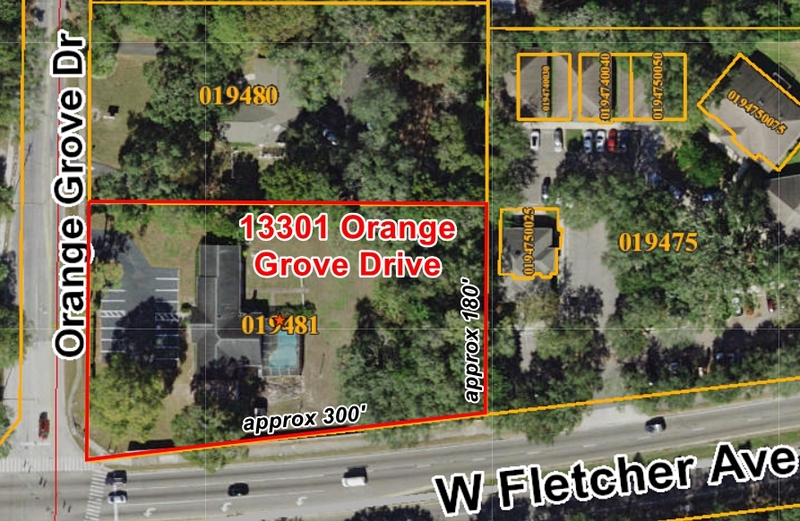 Located just 0.3 miles east of Dale Mabry off Fletcher Avenue, this prime 1.24 acre parcel in the heart of Carrollwood presents an excellent redevelopment opportunity in a land scarce market. 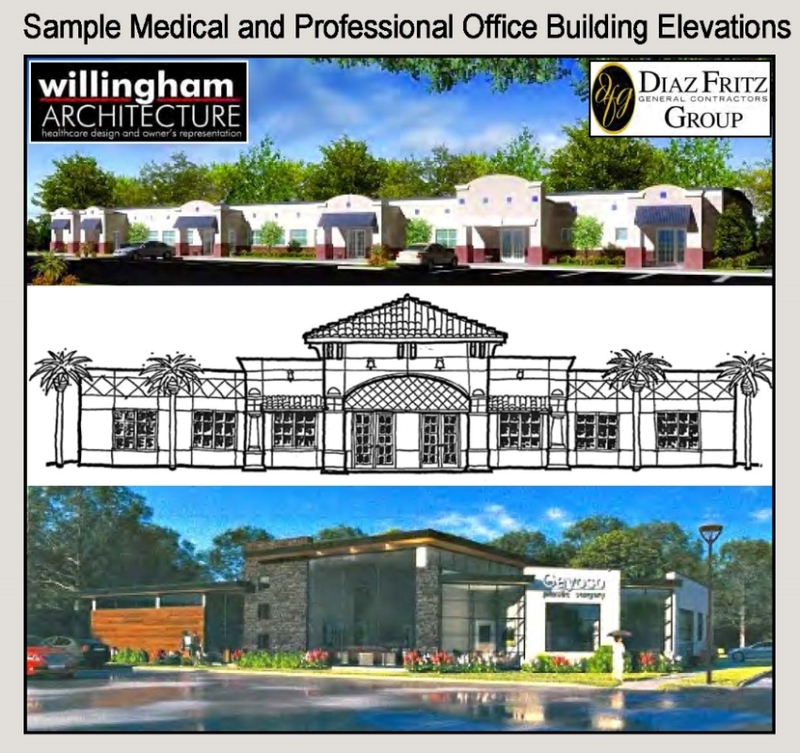 Entitled for a 13,500 square foot building, the site will accommodate the required 5/1000 medical parking ratio and is a prime location for a surgery center, medical office building, rehabilitation center and numerous other professional office uses. 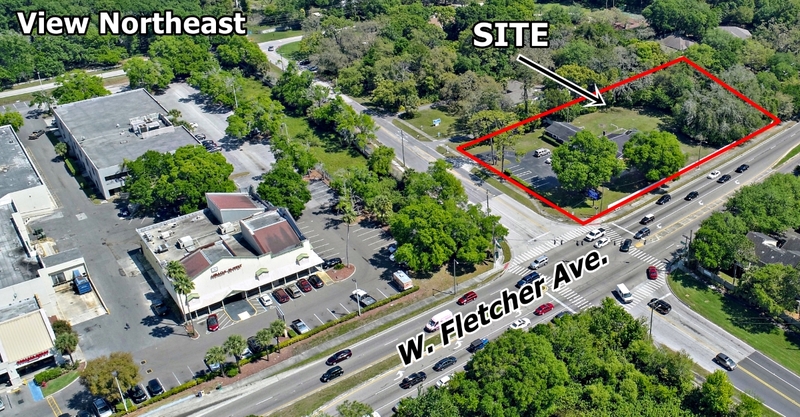 The site is centrally located between AdventHealth Carrollwood, St. Joseph's Hospital North and AdventHealth Tampa. 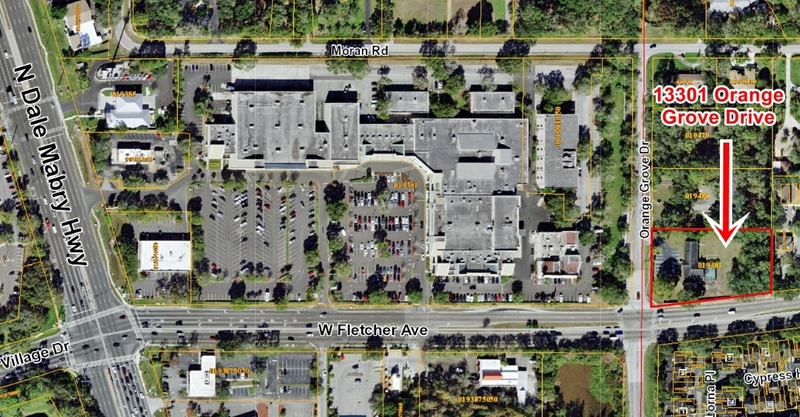 Within three miles of the site is an estimated population of over 103,000 with an average income of over $93,000. 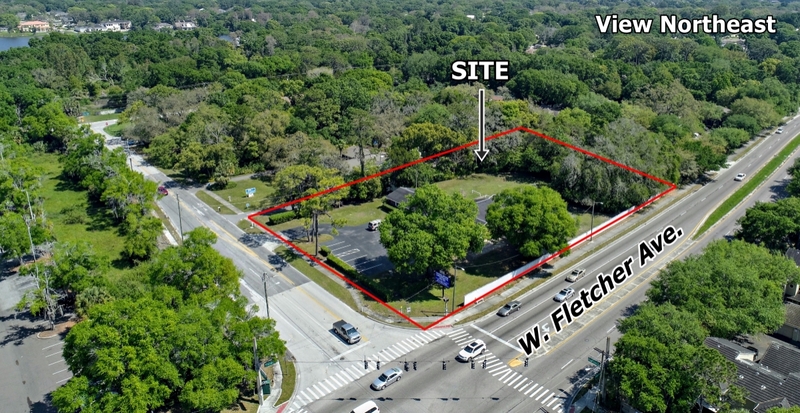 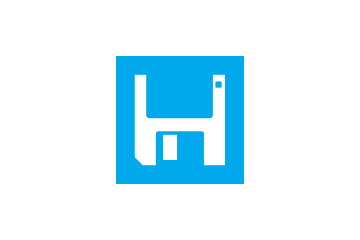 The highly accomplished Diaz Fritz Group general contractors have contributed their expertise in examining the site and are available to consult with qualified prospective buyers to assess their development goals for the property. 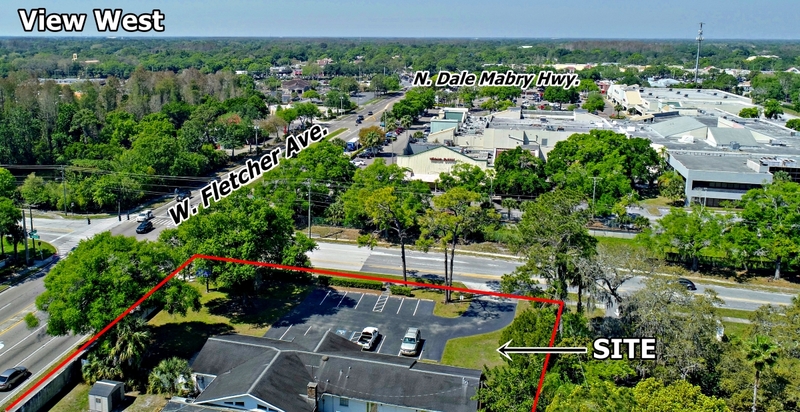 Just 0.3 miles east of N. Dale Mabry Hwy.